Shop- you can even add ecommerce functionality by that, I mean a store and use Paypal as a payment system. I have made a number of post on this but realize that some simply need a bit more help walking through the process. So I am offering my “friends & family” support package. This package includes a series of instructions delivered vai email, a support group and online group session [tutorial]. As well as 30 mins one on one phone/skype. I’m also exploring and showing the best process to decide on a digital strategy! a website, or presence is just one aspect of a digital strategy.I also take a practical appoach, i design web strategies for people who do more than talk about the web. I’ve had over 10 years of experience doing so. Since 2003 I have studied the use of technology first in the local fashion sector and by that NOT simply retail but from concept to consumer and back again, I later broadened that exploration into food, dance, video art, in short local creative cottage industries across the globe. In 2005/6 I started playing with then Mambot (now Joomla) and sometime after that migrated to a self-hosted WordPress. I’ve tried just about every platform out there either for myself or someone I worked with! I’v e been on Blogger since 2004 now use a self-hosted WordPress as the center of my digital hub. That understanding is often Not found in articles about the use of technology. So I’ve added a second offer which will run online January and February 2015 and also includes a 30 minute one on one to brainstorm on individual needs! Unlimited chat assitance.. Prep starts December 15th! A digital strategy can do more than provide a “store” or dynamic bulletin board. Understand how to integrate the various platform in the the #conversationprism- to communicate to your VIPS (vested interest parties) and sponsors. As well as manage and control you social media efforts effectively without putting a strain on your resources. 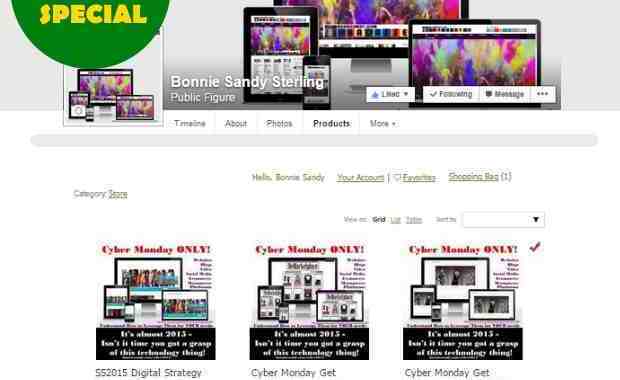 Offers is only for today (Cybermonday 2014) and made directly to my network (local and online)! Posted in Building Black Businesses 360, Latest.